When it comes to guilty pleasures, we all have a few. Some vices are fine to indulge in every once in a while — like that weekly caramel latte. However, splurging too much on these vices can rob our budget, and in some cases, our health. Here are six guilty pleasures that are destroying your budget. Smoking is famously detrimental to your health, of that we are all aware. 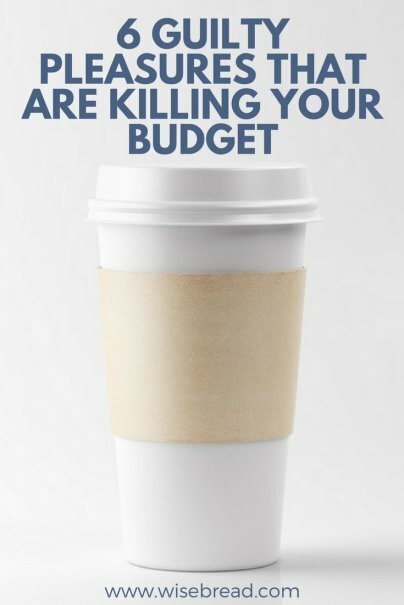 But it's also a nightmare for your budget. The average cost of a pack of cigarettes is $6.16, with most states charging between $5-$10 a pack. Smoke five packs a week, and you are looking at spending more than $1,600 a year on cigarettes. When you're rushing around in the morning, it seems easier to just buy lunch near your place of business. But shelling out your hard-earned cash every day of the workweek can quickly add up. According to a Visa survey, the average American spends $11.14 twice per week on eating lunch out. And that works out to be over $1,000 annually that you could be putting into an emergency fund, your 401(k), or your child's college fund while bringing a bag lunch to work instead. How many subscriptions do you currently pay for each month that you can live without? Add up your magazine subscriptions, radio, books, TV subscriptions, meal deliveries, and any fun monthly boxes you receive each month. If you aren't using these subscriptions or can do without them, now is the time to cancel. Retail therapy is a quick way to turn a frown upside down, for many people. It's also a quick way to spend tons of money. Even if you stick to seasonal sales and the clearance rack, it's easy to spend $100 on unneeded items in a single shopping spree. Feeling the need to shop like this once a month will drain you $1,200 a year, and you will probably be struggling with extra clutter, too. Invest this $1,200 in your retirement account each year instead and that'll be one less thing (and a big one) causing you stress — that often leads you to retail therapy in the first place — effectively breaking this cycle and improving your financial health.